A wonderful gift for your mother, sister or girlfriend who loves strawberries or for newlyweds. 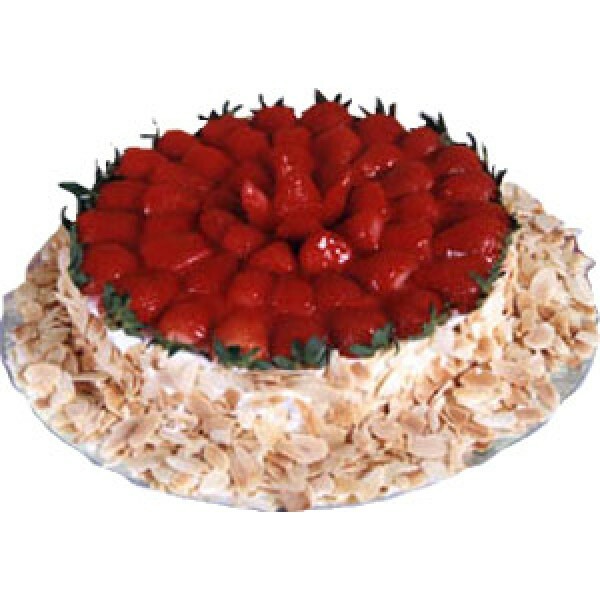 They'll enjoy every delicious mouthful of moist white cake topped with lots of glazed fresh strawberries and rich cream. Cupid has cooked up a special Recipe for Romance, and we have all the ingredients! 5 pieces of the ..
A wonderful gift for your mother, sister or girlfriend who loves strawberries or for newlyweds. They..